The world of social media is everchanging, and is having an increasingly significant effect on the world of fitness. Below we’ve compiled a list of the best and biggest influencers who are making the most of social media to contribute to the fitness sphere! A top fitness, nutrition, and lifestyle social media influencer. Through her passion Jen Selter hopes to motivate others to achieve their own fitness goals with her workout plans. As well as her Instagram account, she runs a blog and website www.jenselter.com and has a large Facebook (@jenLselter) and Twitter (@JenSelter) following also. Itsines is one of the most influential fitness stars in the world. Well known for her Bikini Body Guides, workout app and eBooks series’ she has a huge fan base. The personal trainer also has her own website and blog www.kaylaitsiness.com , YouTube (Kayla Itsines), Twitter (@kayla_itsines) and Facebook (@k.itsines). Michelle Lewis is a successful bodybuilder and influencer. Michelle has her own website michellelewin.com in which she sells her own weight loss fitness toning equipment and her own FITPLAN. As well as her Instagram and website she has her own YouTube Channel (Michelle Lewin), Twitter (@Michelle_Lewin) and Facebook (@FitnessMichelle) accounts which are all popular also. Cassey Ho is a Pilates instructor famous for her YouTube Channel blogilates with over 3 million subscribers. She also has her own website and blog (www.blogilates.com) in which she sells sport apparel and a global Pilates company/classes called POP Pilates. Cassey’s Twitter and Facebook are both @blogilates. The Australian fitness model encourages women to weight train and overall be the healthiest and happiest they can be. Emily is a Reebok ambassador with her own workout program, YouTube channel (Emily Skye), makeup line and app. She is very successful in what she does and is said to be releasing a sneaker line with Reebok in 2018. Her Facebook is @emilyskyemodel, Twitter is @missemilyskye and website/blog is www.emilyskye.com/blog. Joe Wicks ‘the body coach’ is a British fitness coach, author (fitness and cooking books) and TV presenter. Famous for showing people to get lean in 15 – he has a massive following on all social media in which he shares his lifestyle, diet and workouts. Wicks has his own website (www.thebodycoach.com) in which he blogs, promotes and sells his workout DVD and books. 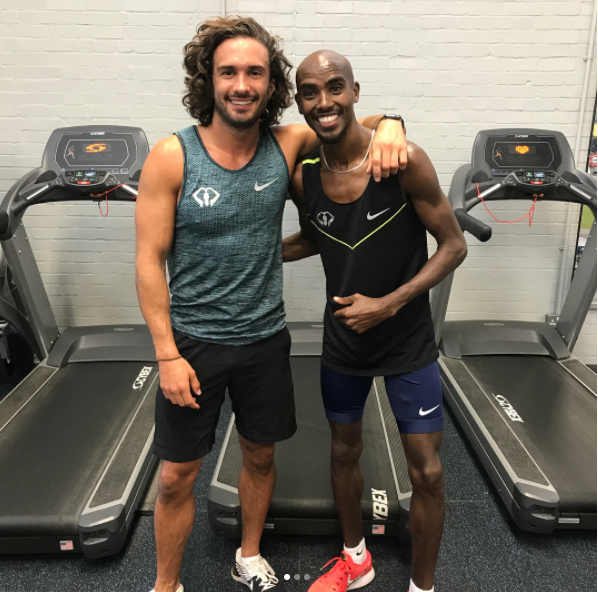 Joe has a YouTube Channel called The Body Coach TV in which he posts workout videos, he’s also active on Facebook (@JoeWicksTheBodyCoach) and Twitter (@thebodycoach). Anna Victoria is the creator of the 12-week fit body guides. She has her own blog and website (www.annavictoria.com) in which she promotes her plan and discusses diet, lifestyle and fitness. She also has a YouTube Channel (Anna Victoria), Facebook (@Annavictoria) and Twitter (@annavictoriafit). Simeon Panda is a British trainer with his own sportswear line and training program. His website simeonpanda.com is the home of his online training, blog and shop. His Facebook and twitter is @simeonpanda. Karena Dawn and Katrina Hodgson also known as the tone it up girls are best friends who share their fitness tips on their Instagram and YouTube channel (Tone It Up). They also post healthy recipes, bikini body DVDs and beauty products on their social media (Twitter and Facebook @ToneItUp) and website (my.toneitup.com). After having a Baby and struggling to lose weight Natalie Jill started sharing her diet and fitness on social media. She now has her own video tutorials on YouTube (Natalie Jill Fitness), e-books, DVD’s, app and a best-selling book all sold on her website/blog www.nataliejillfitness.com. She has a huge fan base on social media (Twitter and Facebook @nataliejillfit) and its ever growing.